May you be blessed with joy, laughter, love and peace. This website is designed to inspire and support you through my published books, articles and resources. I am a gifted author, speaker, teacher, workshop facilitator and retreat leader. I have been featured as an expert in magazines, newspapers and on radio. I'm the Director of The Academy Of Energy Medicine. As a experienced Registered Nurse and a Master Energy Nurse Practitioner, I work with International clientele who are committed to improving their quality of life and achieving their life's purpose. My writing focuses on assisting others in harmonizing body, mind and spirit to regain their inherent wellness in a practical, effective manner. With more than 25 years experience in the medical field, I also have real-world know-how. My experience with children with disabilities has led me to begin to publish my children's stories in down loadable form for your reading pleasure. Twice Victorious, my children's story that was published in the magazine Friends, is based on the life of one of these children. I have also authored four books, several articles, including the lyrics to the song, It's Great Being Me! for world renowned Fred Penner. As a writer I continue to develop, publish and distribute innovative, inspirational and educational material. Sometimes all children need is the belief in themselves and someone to acknowledge that they can do it. These stories help them do just that. Most of my stories have been written about real kids and their astounding ability to follow their hearts. Over the years I have seen so many of them accomplish astonishing things and to understand that they are great just the way they are! 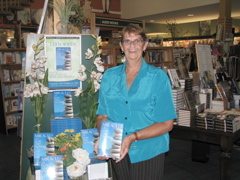 "Thanks for the kindness in sharing your book. 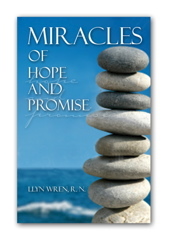 Llyn Wren's new book is a powerful reminder that there are miracles that occur everyday in our lives. Truly a book providing hope and promise for all of us." During the Winter months (November to May) you will be able to reach me by email or Skype.